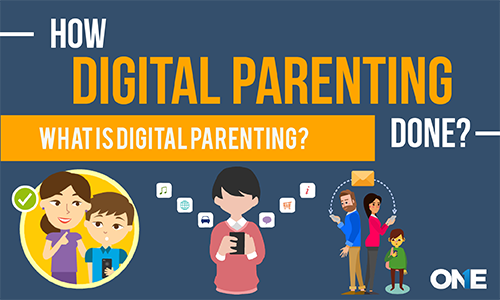 What is Digital Parenting and How its Importance for Parents? Digital parenting means to perform parenting on children and teens online activities that they perform on smartphones, gadgets, and computer connected to the internet. Parents will be able to protect teens from stalkers, online bullying, and sexual hookups and from sexual predators when they have complete awareness of digital vulnerabilities. Therefore, they have to have digital knowledge by using contemporary technological devices connected with the cyberspace. However, they should teach kids and teens what is good, what is bad, how much is good and how much is bad on the digital world. They need to set parental control on children devices.